Summary: When a three-year-old girl wearing a t-shirt with the word “Bicycle” on it appears at the Mostly Silent Monastary, retired nun Sister Wanda adopts her and names her Bicycle. Bicycle is happy living quietly among the monks and nuns, but when she turns 12, Sister Wanda decides it’s time for her to learn how to make friends, and ships the girl and her bicycle, Clunk, to the Friendship Factory for summer camp. Bicycle, who can’t imagine anything worse, decides to run away to San Francisco to take part in the Blessing of the Bicycles. 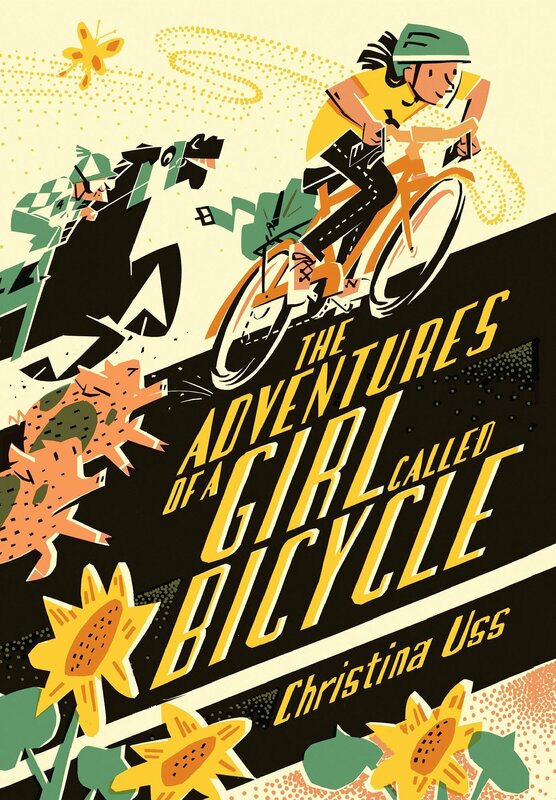 The rest of the story is a wild and crazy road trip, in which Bicycle and Clunk (and later a new bike named Fortune after Clunk falls apart halfway through the trip) meet a quirky but endearing cast of characters. By the time Sister Wanda catches up with her in Nevada, Bicycle realizes she has made quite a few friends along the way. She has to give the nun the slip one more time, but they reunite in San Francisco, where Fortune is blessed and Bicycle meets her hero, Polish bicycle racer Zbig. Sister Wanda realizes Bicycle has found her own way of making friends, and the end finds Zbig, Bicycle, Wanda, and a man in a rooster suit pointing their bicycles eastward for the journey home. 320 pages; grades 4-7. Pros: A lively and entertaining adventure with a likeable introvert and the fun and interesting characters she meets along the way. Cons: Christina Uss works at the town library where I get most of my books, so it’s probably not in my best interest to offer her anything but praise and congratulations on her first novel.